The older I get, the more I appreciate Proportionality’s role in social organization. When I was a young man trying to establish my affiliations, I tended to reach a judgment about the inherent nature of an institution or behavior and not pay nearly as much attention to its relationship to others or its surroundings. What was the only question I tried to answer. Forty years later, having experienced the shortfall of definitions, I’ve come to see that the nature of institutions and behaviors often changes according to their proportions and placement in the larger social framework. Just as important as what, is how much and in what position. Society, it turns out, is more recipe than ideology. What we are looking for is the right mix of components in a harmonious dynamic with each other. Most of these elements exist along a long continuum of forms and effects, with what amounts to a multitude of identities. I wonder at what proportion or in what arrangement an institution or behavior changes character? And which of its potential characters is optimal for our mutual purpose? And how can we best dial them up or down to the appropriate proportion? I took these questions to my friend, Sid, a rower who, though something of an oddball, has a penchant for theories and fancies himself a dockside philosopher. We talked at his houseboat. “Tinkering,” he said, answering the last question first. “Society is best arranged as experienced rather than as explained. So we are always on the lookout for ways of doing things that function beneficially. When we learn how something behaves and interacts, we incorporate those truths into our lives and mutual affairs. And we fiddle with the mix until we get it where we want it. But for this seat-of-the-pants approach to work, you have to be demanding in your judgment and willing to drop your attachments and discard or retool behaviors that have lost their appropriate proportion. “Where along the institutional or behavioral continuum distortion emerges is not an absolute either. I first try to measure institutions and behaviors at human scale, discern how they appear and function in the experience of society’s basic building block—individual human lives. They are the touchstone and the point of it all. I think most institutions or behaviors begin their development as enablers of humans, helpmates that advance appropriate agendas. But increasingly they become organisms unto themselves and lose their human touchstone. They bloat, cast shadows, and start tipping the social balance, losing all sense of proportion. Locating exactly where that shift begins depends on our willingness to pay attention. 1. The Corporation. This is legal fiction originally contrived to free commerce from the restrictive rules of personal conduct (such as debtor prisons). The corporation created a workable instrument for engaging in risk. Now, however, it has metastasized into an institution that claims all the standing and rights of humans but few of the accompanying responsibilities or accountability. Rather than serving, it now demands to be served. Its scale alone has made it into a law unto itself, effectively uncontrolled and controlling at the same time. To maintain its usefulness, the corporation desperately needs to be reframed and subjugated to the social order, taken back to its original proportions. Otherwise we will end up controlled by the vehicles of private wealth, rather than enriched by them. 2. Advertising. This is the poster child of malproportion. Advertising has certainly generated benefits to public education in its development of sophisticated communication techniques. But over a hundred years it has morphed from a way to expand access to information into the suzerainty of marketing. It has birthed a culture that is in effect for sale, where how we are and how we behave are at the disposal of whoever can afford to manipulate images accordingly. It is making us far dumber and more dependent. It has also generated a social model that ties the communication of information to commercialization, an approach that is proving very good for commerce and very bad for information. The best way to reframe advertising is to stop paying attention to it and train our citizens to do likewise. In any case, we should limit its uses, particularly when it threatens the integrity of self governance. 3. Administration. When we suffered from insufficient information at the base of operations, installing layers of supervision and knowledge distribution above it made sense. The result, however, has often ended up establishing the primacy of administration over practice, a phenomenon we usually refer to as bureaucracy. Now, in an age when all information and the capacity for universal communication is instantly available to the base, the emphasis on administration is anachronistic. We are now equipped to drive operations from the bottom. 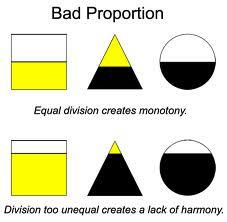 The supervisory echelons balanced on top have few necessary functions left except maintaining themselves. It makes more sense to use much of the resources the top consumed to bolster the decentralized social base. 4. Defense. The protective response and posture are obviously required human equipment. But at some point already behind us, they also expanded into defensiveness, the inability to accept possibilities other than threat. The effect is that Defense dominates human concourse. This is a disfiguration of our humanness. We are always trapped in the confines of defending ourselves, without perspective on ourselves or the people around us. That posture makes it impossible to liberate the rest of our human equipment to generate reconciliation and friendship. And, ironically, this limitation prevents us from making ourselves safe. This entry was posted in behavior, identity, social organization, social policy, thinking and tagged finding ourselves, interactions, necessity, our situation, politics, proportionality, social change, social criticism. Bookmark the permalink.